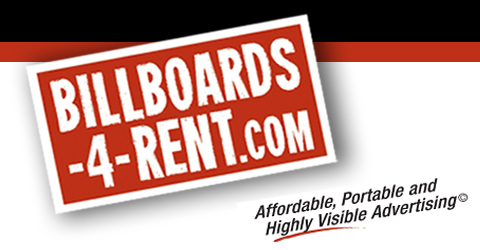 Billboards-4-Rent has many years of experience in custom building portable advertising trailers. Perhaps purchasing a mobile billboard is too costly at the moment and you have low budget in mind. But, you still need a unit that is affordable, portable and highly visible. Well, we can custom design and build you the perfect trailer that fits your needs. Many customers have been able to get super low pricing for trailers, but you do need to keep in mind that if you pay cheap…there are consequences. Many times cheap equates to something produced quickly, cheap, and highly risky. That interprets into lack of knowledge in the person/company building that unit. We know a gentlman that paid $5,000 for his new trailer, but one day due to extreme high wind conditions…the trailer flipped over and caused a major accident. Imagine all the costs associated in that lawsuit and stress that went along with it. Just because your getting a good deal on price, does not mean that it’s the cheapest route to go in the long run. There are serious consequences. At Billboards-4-Rent, we have built hundreds of trailers for customers all across the country. We stand behind our trailers because they have been tested through extreme conditions. We use the finest heavy metal steel and have it welded by professionals who know how to get the job done right. If you have a budget in mind an in the market for a trailer, contact us at (702) 835-2034.